These are the words that popped in my mind as I reflect upon the readings and the gospel for the Palm Sunday yesterday. I asked myself; Why? At first glance, it does not connect and jive to the thought and the message that I got in reflecting upon the yesterday’s readings and gospel. What does this motto of Pope Francis would like to express in me as the Holy Week begins? What is the connection of it to Jesus’ passion, suffering, and resurrection? 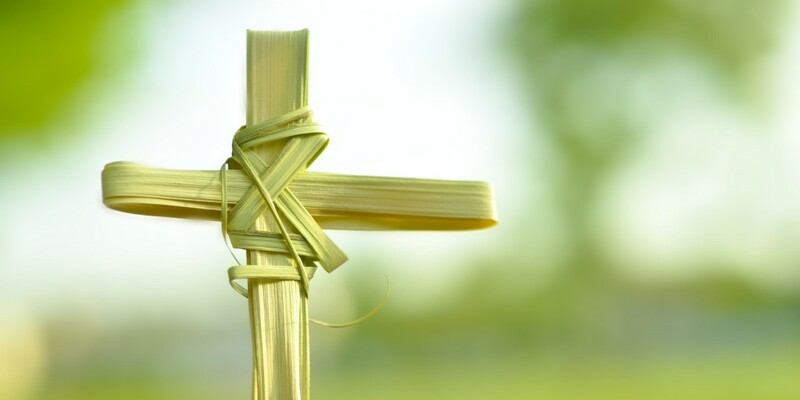 As I link up the readings and the gospel for the Palm Sunday yesterday, it tells about Jesus’ obedience to the will of His Father and his passion and suffering which presented into something significant and salvific for us believers and followers of Christ. He conspired by the chief priests, his own disciples betrayed him, his witnesses’ testimonies were flawed, the trial was politicized and unjust, yet because of intense love and mercy for us sinners he accepted all these though he was innocent to all the false allegations and accusations against him. Hence, great and unconditional is the mercy and love of the Lord for all of us, and St. Paul testifies it in his Letter to the Philippians which he said; “Though he was in the form of God, did not regard equality with God something to be grasped. Rather, he emptied himself, taking the form of a slave, coming in human likeness; and found human in appearance; he humbled himself, becoming obedient to the point of death, even death on a cross.” (Phil 2: 6-9). He humbled himself– a phrase that is very striking and touching indeed as I let it speaks into my life. He is God, but He humbled himself for the sake of loving me and us completely and unreservedly. How about me? Connecting Pope Francis words MISERANDO ATQUE ELIGENDO to Jesus’ passion, suffering, and death; one thing that I realized is Love that connects the two moving instances. The words of Pope Francis are the challenge of the Palm Sunday for me as I am now coming across to the ambiance and spirit of the Holy Week. Because of God’s mercy and compassion which He fulfilled on the cross, He pitied me and has chosen me to radiate His love for all especially those who are seeking for it. As I reflect upon it, it’s a tough invitation coming from the Lord. It takes a lot of faith and self-emptying. But, this love is all about. If God sacrificed Himself for the sake of love, how about me who is just a tiny unique organism and sinner in front of the immensity of His mercy and compassion. Thus, Holy Week is moments for me to revitalize, refresh, and renew my commitment to God as His disciple. Indeed, the cross really disturbs me. As I begin my Holy Week pilgrimage in silence, reparation, reconciliation, and contemplation may the Lord help me to abide in His love. May He also guide my thoughts, words, and actions through his care and kindness. Love will always be the rule of life and the canon of our existence on earth. It comprises everything that we encounter and experience, so it really serves as the significant element for living a good life. When love blossoms in our daily actions and even on our struggles everything follows. Hence, ignorance of love is also an ignorance of our responsibility and duty to build a better world out of love. It also serves as the key aspect for building a good and sound relationship that excludes any barriers and discriminations. That’s why love is all that matters in life, and everything are secondary. The question, however, is: have we loved truthfully and sincerely even though it has different forms and faces? Have we considered it as our guide and inspiration to do what we supposed to do? Loving is not an option, but a commitment. We exercise our existence not according to accumulate honors, fames, glories, and power, but to love. 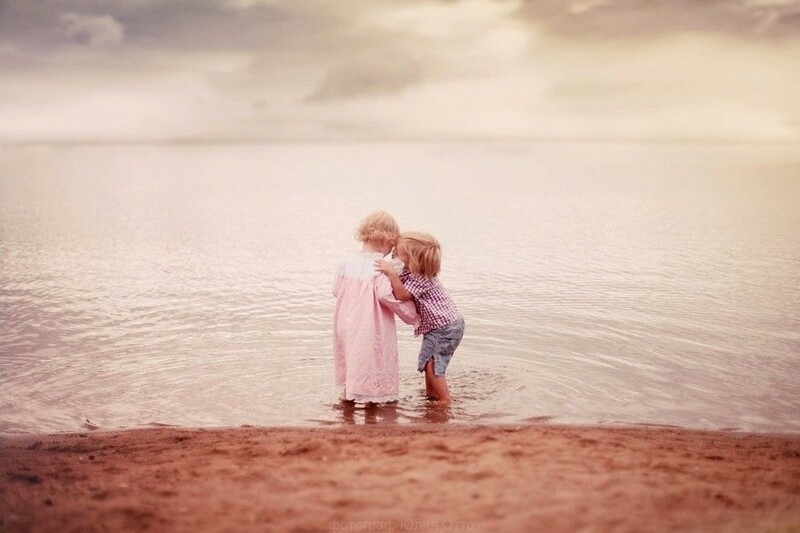 Love is the greatest gift that God has bestowed us, so we should not lose it through indifference. Everything here on earth ends but we should always remember the fact that love will always remain intact, and our lives will be judged according to it. Henceforth, loving never stops and it should be the reigning principle on our lives. Dying to ourselves is a total self-giving. As an analogy, just like the seed planted on the soil it dies, but if it is nourish it will produce a single sprout of plant, then a tree, and sooner a fruit. This is what the gospel yesterday reminds us; i.e. 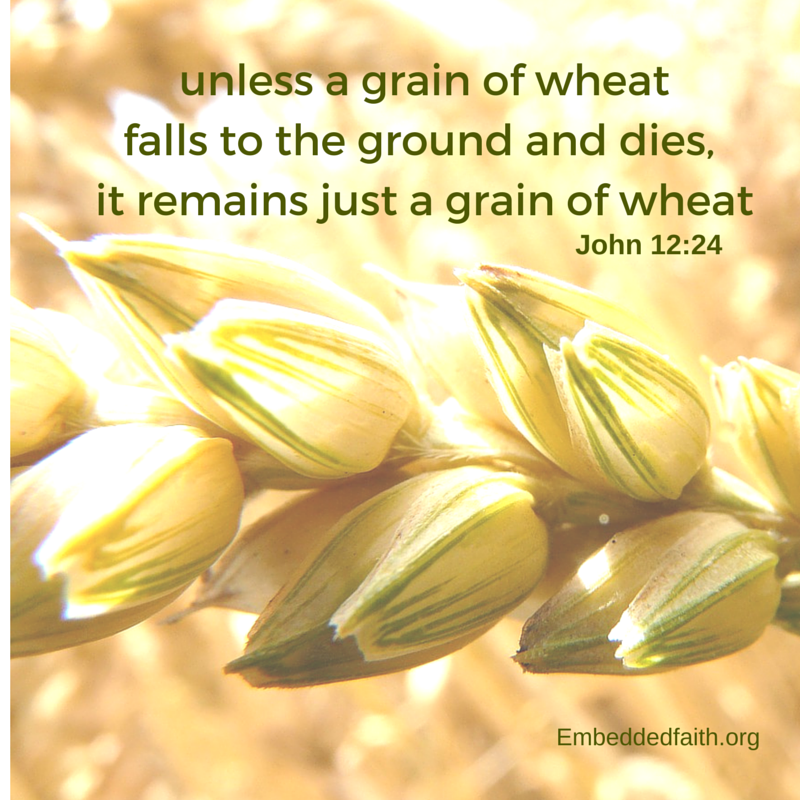 to be like the seed that falls to the ground and dies in order to produce a fruit. What is that fruit as we contextualize this in our daily existence? It’s love. Hence, dying to ourselves is the greatest manifestation of love. We will never learn how to love unless we consider into our lives the importance of dying so that others may live and loved. 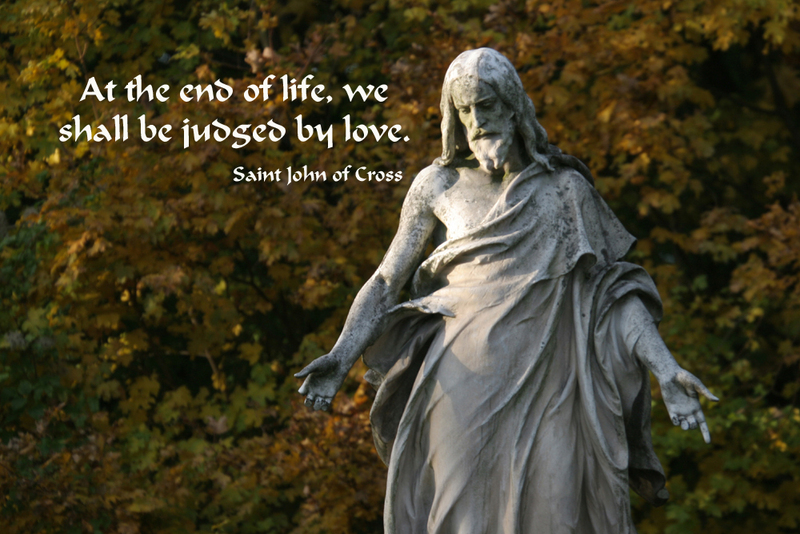 Let us look on the cross, Christ suffered and die for us in order that all of us may be saved. In three days he resurrected in order for us to believe that there’s life in death, and it will only be recognized unless we have the eyes of faith and love. To die to ourselves for the sake of love is all about the capacity to have eyes that see beyond the boundaries of our nature to love. Loving is not words alone, but it is also on dying. The more we die to ourselves, the more we give love and hope to others. Dying to ourselves is something immense and noble, but it is also the hardest thing to do in life. I myself would say that it takes a lot of courage, faith, and risk to die for myself. Many misunderstand you; criticize you; or shout on you a “fool”, so that’s the hardest thing. But, as I reflect on the gospel yesterday, it encourages me to go on and be still in dying to myself for the sake of love. It may sound heavy and demanding indeed, but God through the gospel yesterday assures me that it is not a shame to die for ourselves. Dying to ourselves glorifies more the Father who considers us as His beloved children. Love exists when we struggle for it. 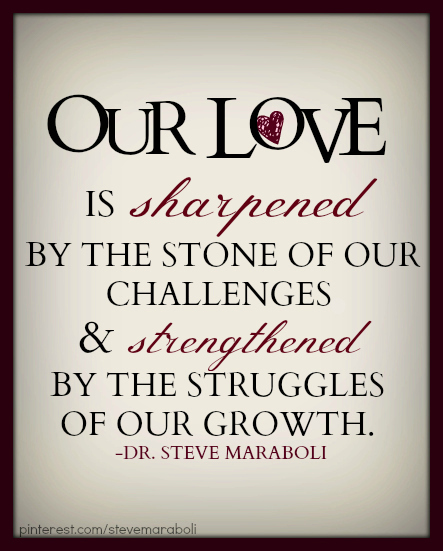 Why does love reside in every great struggle that we encounter in life? I always highlight in my previous thoughts about love that it resides in every struggle we encounter in life because it is not cheap. But, as I continue to reflect and search for its great significance into our lives, I have found another reason why love need to be struggled, i.e. on our identity itself as persons adequately considered lovers and also the recipient of authentic love. We are formed and struggled out of love, and so we are called to do the same for the sake of realizing love authentically and realistically. It’s demanding indeed, but it is how love to be what it is. Sad to say, only few are really ready to struggle for the sake of love. As the world today offers everything in an instant way, people are also doing the same thing in love. Many are afraid to value sacrifice and commitment when they enter into relationship. Some distort and fabricate its real meaning and change it into something secondary, immediate, and profane. So, many of us misinterpret love as something that can be equated into roses, chocolates, teddy bears and romances. Where’s the struggle for it? Where’s the sense of sacrifice that it demands on each and every one of us who would like to abide on its invitations and challenges? Alas, it is now something on the periphery in the mindset of today’s world. When struggles are not being given any consideration and implication in love, it is really a great trouble. Now, we feel and experience it. People kill and die because of hate. Rejection is now becoming an occurring disease and hard to be tolerated. Many are now experiencing broken-heartedness and become pessimistic about life and faith. So now, as the world advances and becomes technological, many important and valuable entities for life are being set aside and degraded. Regrettably, we are the ones who suffer the consequences. From this realization, I am enlightened about the real essence of struggling for love into our lives and our world. Hence, without the struggle in loving, it is really a great chaos. Why should I or we be afraid of pains, sacrifices, and struggles in love if these are important things for us to see the bright side of love into our daily existence? Why should I or we distance myself or ourselves on those means if it creates a civilization of love that brings peace on our minds and on our hearts? 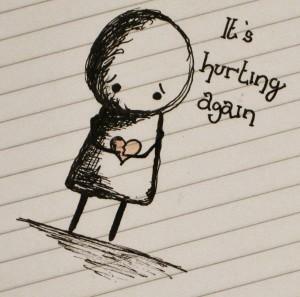 Pain is really an inescapable reality when we love, but is not a hindrance for us to dare ourselves to love again. Before I fell asleep yesterday, I looked up the ceiling and asked myself; What is the best way to stop the pain in loving sincerely? As I continue searching for an ample answer on my mind I recalled all the experiences I had when I loved genuinely and wholeheartedly. From that, something popped-up into my mind; Yes, it is in daring myself to love once again that I love more and cease its pain. Recalling this instance that happened to me yesterday I realized that it is in daring ourselves to love that pain will be reciprocated into an advantage or an opportunity for us to see and to recognize what true love is all about. Daring ourselves to love is not only all about courage, but also all about humility, selflessness, and sacrifice. It takes a lot of self-emptiness when we dare ourselves to love once again after experiencing the pain and being broken-hearted in loving. In daring ourselves to love, there’s an assurance for us to discover its truths that others cannot see. So, let us not give up in loving when pain comes. In love, pain bleeds, but it heals when we love more. Never suppress our hearts to love when we are hurt in loving genuinely. At first glance, it is so hard to accept the fact that in love pain resides. We cannot underestimate it by simply ignoring it or just letting it pass by. It always requires acceptance on our part. Tears and sobs may always be part of engaging ourselves in love, but it is not a shame on our part because it indicates that we are true lovers; ready to face pain because we believe it is in pain that we recognize, understand, and embrace true love. Let us not be afraid in daring ourselves to love. Not daring ourselves to love is cowardice, and that’s a worst scenario when we engage ourselves on the real significance of love into our lives. Out of love, God sent His Son so that every one of us who believes in Him might have eternal life. Who can do this for the sake of love? God alone can. I asked myself: why God is still truly, deeply, and madly in love with us despite of us being sinners and hard-headed believers? If I will look upon my life, there are times that I intentionally ignored Him and regretted His significance in my life; but still He loves me and considers me as His beloved child. Why is He doing this to me? This is how God invites me and every one of us to go back to Him, to share in His life, and to repent of our sins. God really teaches us lessons the way we would want it to learn. Yes, Jesus died on the cross because of His love for us; but does His death have an effect for our lives which He accepted humbly out of love for us? Hence, I realized that the cross is not just a label or a symbol itself for us who believes on it; but it is also a manifestation of God’s love for all of us in the form of eternal life. 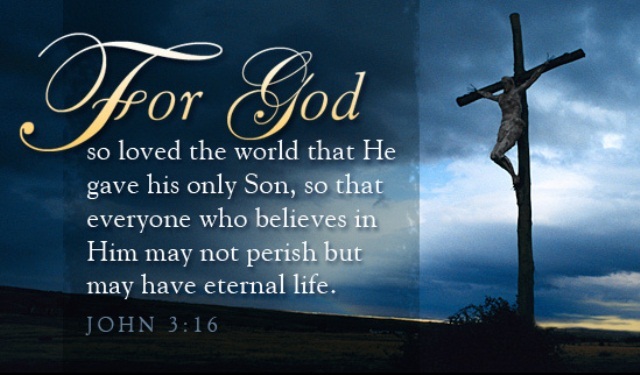 There’s eternal life on the cross of Christ. Eternal life is not a fruit of our efforts nor a reward; it’s God’s work, a grace, and a gift freely given if we only believe, repent, and start to reform our lives through it. Paul reminds us about it; “By grace you have been saved through faith, and this is not from you, it is the gift of God; it is not from works, so no one may boast” (Eph. 2:8-9). God’s love is really immeasurable. Even we are being hovered by the darkness of sin and our brokenness; He still manifests His love for us. Yet, we still have an obligation to redirect our lives to him. In the gospel yesterday, He reminds us; “Whoever lives the truth comes to the light, so that his works may be clearly seen as done in God.” (Jn. 3:21). Thus, we will not be able to appreciate and abide in the light that came into the world unless we pattern our lives on it despite the horror of darkness that keeps on hindering us to see the light. God’s love will always remain victorious in the midst of confusion, delusion, sin, and division. Therefore, let us repent and abide in God’s will. Let us take advantage of His love. Why is there pain in loving? Why do we need to accept the fact that when we love someone or something it entails sacrifice and heartaches? These are the many questions that preoccupy my mind when I think of and reflect upon love as a significant aspect of my life. Plato is right in saying that at the touch of love everyone becomes a poet, but for me we need also to admit into our existence the fact that to be hurt is an inevitable reality when we love sincerely and candidly. We cannot discover true love unless we recognize and embrace pain in loving. Hence, it takes courage to love. When love hurts it is not an indicator for us to give up. It is just a purifying fire that helps us to understand that love is not cheap. So, we persist in loving sincerely and candidly because we believe that it is something immense and noteworthy. But, we cannot deny the fact thatit hurts. It is really not so easy to love. It requires something to give up and sacrifice in order to learn from its wisdom and to be sway by its impact. If I will look upon my experiences about love, I could say, there are a lot of times that I got hurt in loving honestly. I asked myself, why love sometimes unfair? Every day I struggle in order to be true in loving, but it’s not enough. It went into the point that I became fool for the sake of love, but it does not suffice still. As a result, I give up in loving. It does not anymore ring into my sanity and perception that love is something pleasing and awe-inspiring. Hence, I became afraid when love hurts my heart. Suddenly, as I search for a reason about the reality of pain in loving, my mind was captivated with a quote coming from William Shakespeare which says; the courses of true love never did run smooth. In this insight I realized that true love begins in accepting its pains courageously. There’s no easy and instant way in loving; every person who abide on it experience first to be brokenhearted. Indeed, loving is the same in living. In order to live happily and fulfilled there’s a need to appreciate struggles and sufferings. Love is always a product of our perseverance and persistence. Thus, when loving seems so tough and hurting, quitting must not be the immediate reaction. Just like what I did into my life, after realizing the fact that love resides in every pain, I welcome pain and I continue to love sincerely though it hurts. The more I continue to love despite the pain that I endure in loving, the more I experience that I am being loved. Its sounds bitter, but that’s what love is all about. Quitters will never apprehend true love in its tragic sense. Henceforth, true love exists in the most difficult situation in our lives which for us is unacceptable and intolerable.